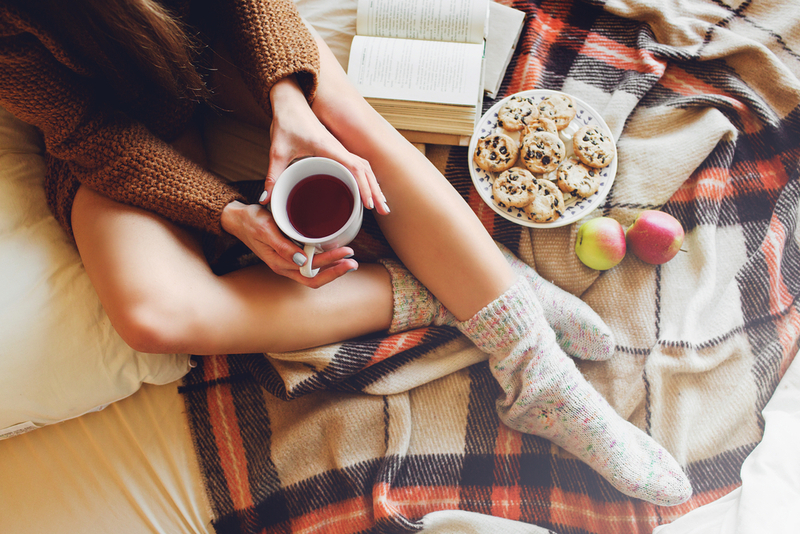 Candy corn, blanket scarves, pumpkin spice lattes: fall is the coziest season, hands down. And what’s more cozy than a throw blanket? A really high quality throw blanket. Here’s how to find the perfect throw blanket to keep it cozy all fall long. As important as a throw blanket is, it’s not worth struggling to pay rent for the next few months. There are a variety of quality blankets for any price range. Several stores have quality options as low as $20. We love this ultra plush velvet throw, which comes in a full range of calming autumnal colors. 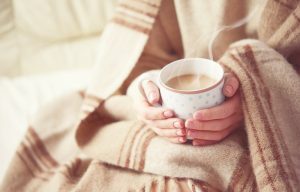 Blanket with a warm mug. This is possibly the most important question about the blanket, especially if you’re looking to save some cash on utilities. A good blanket or two can help you hold off on turning up the heat. Electric blankets are always a solid option. Dense blankets also help trap in all of your body heat. Cat and dog under blanket. A washable blanket is key. Pets are going to need to snuggle under your blankets while you maintain a reasonable heating bill. Unfortunately, pets aren’t focused on keeping blankets fresh. 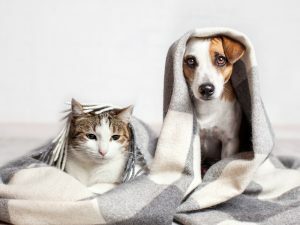 Even without pets, it is easy to spill when you are wrapped up in a large blanket. Eventually, you’ll have to wash it, and there’s nothing more disappointing than a blanket losing its fluffiness. Save yourself the heartbreak and buy a blanket that can withstand the washing machine. This trendy throw isn’t just washable — it’s reversible, too. And who could turn down two amazing blankets for the price of one? Blankets come in all shapes and sizes. It all depends on what you’re looking for. If you’re planning on snuggling with other humans or animals, opt for a larger blanket. However, if you want a blanket but don’t want to splurge, small blankets will be best. Just be prepared to fight off jealous roommates who want to share. 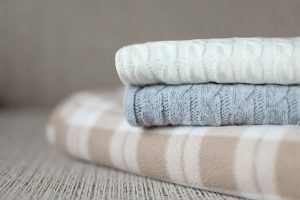 Depending on your interior decorating skills, this may be the most difficult part of choosing the perfect throw blanket. 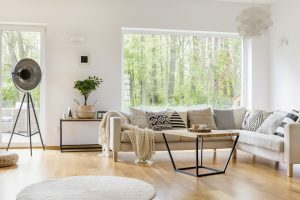 If you really struggle with staying within one color scheme, try sticking to neutral earth tones so that your blanket can be a seamless addition to any living room. A blanket can really tie a room together, so finding the right fit is important. 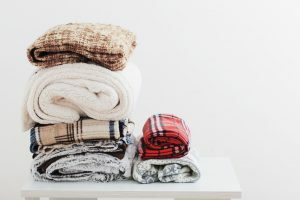 Fortunately, if you buy one blanket and it doesn’t fit every need on this list, you can always buy another. An apartment can never be too cozy!